Photos of inspiration for this painting below. This cat waits for adoption at the Cleveland APL. 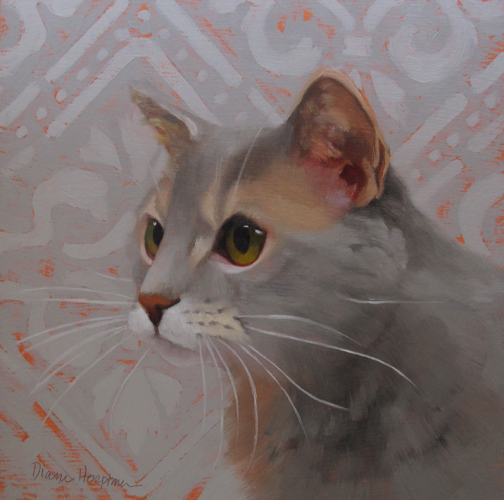 I love the background with this kitty...beautiful painting!! I'm glad you included the photos because they show how spot on the painting is. Nice painting,sweet cat.